As mentioned before, I'm a sucker for vegetables in unusual colors. 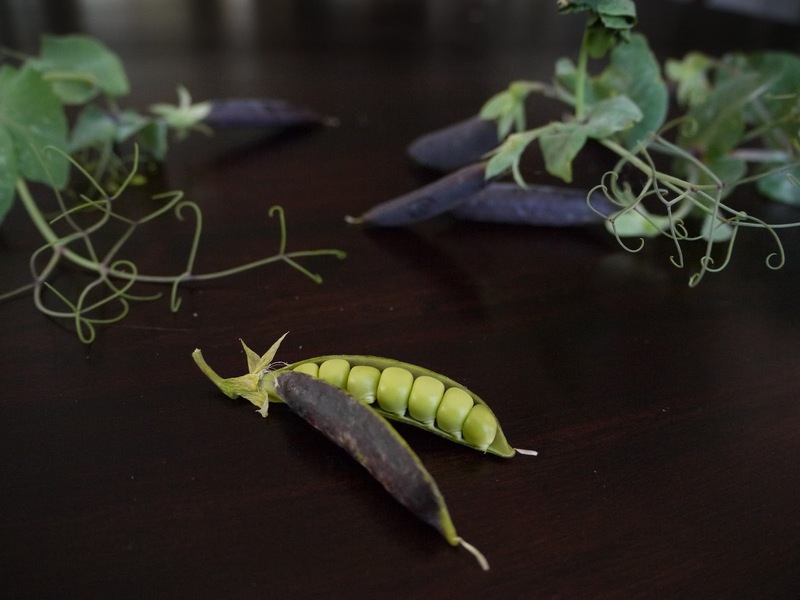 So once I finished harvesting my first pea crop (the wonderful Laxton's Progress #9), I planted a row of these purple-podded peas. They're good, but not spectacular. 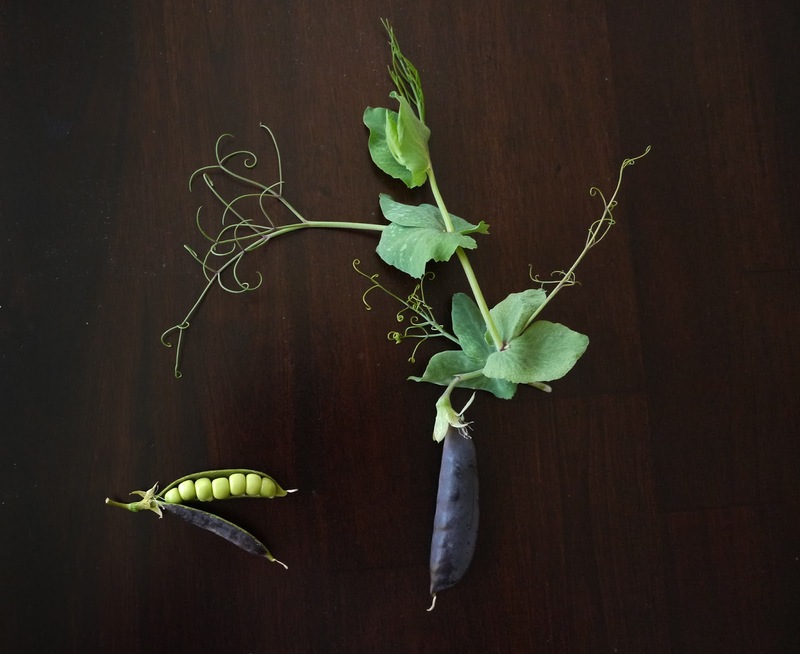 The per-pod yield was excellent, but they didn't produce a lot of pods — which means I probably won't plant them again, since I like to be able to grab a handful of pea pods to snack on every time I walk past the garden. Not sure if the light harvest is typical for the variety or just because the sunflowers ended up shading the pea trellis. Is it purple all the way through? No, only the outside of the pods are purple. The peas are bright green. The purple color fades to green if you cook it more than a minute or so. What does it taste like? 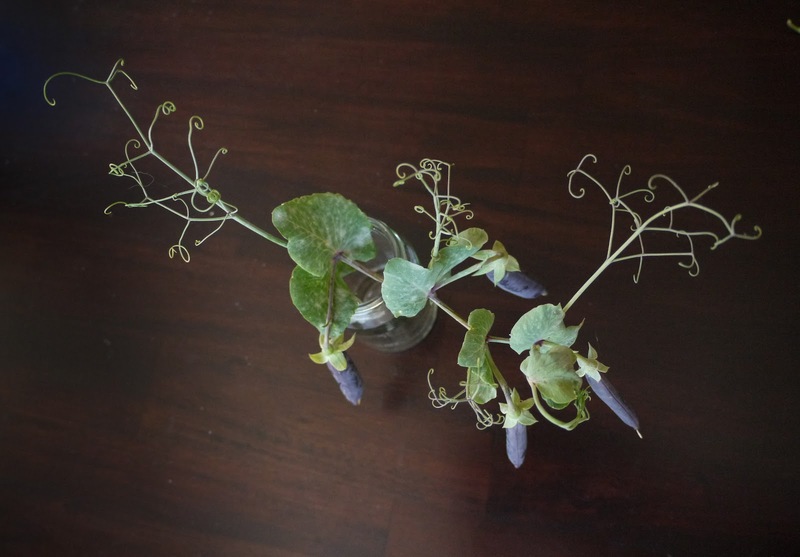 Can you eat the pods? You can eat the whole thing, pod and all. The flavor is pretty good — sweet and juicy, though not as sweet as the Progress #9 peas. The seeds came from Redwood Seeds, an organic seed farm here in northern California. Nope. All of Redwood Seeds' seeds are open-pollinated, non-hybrid, non-GMO. 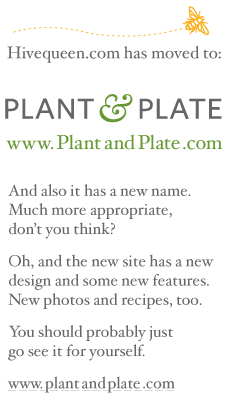 Labels: FAQ, garden, peas, What's that plant?